To my surprise, Mr. DeVille scratches Atticus behind the ears instead of pushing him away. “Since we’re stuck here, what should we do?” Finished with his sandwich, he wipes his mouth with his thumb. I’d have been more than willing to lick it clean for him. A pounding on the door interrupts us. Dadgumit, just when things are about to get interesting with Mr., er, Luc. I scurry to the door, intent on getting rid of whoever it is. I find Rafe holding a bag of food and two cups of coffee. “Hey, I figured your power was still out, so I brought you some coffee and breakfast.” His eyes scan my small apartment, narrowing when he spies Luc. Mr. DeVille smirks. “What impeccable timing. Goodman, is it?” He casually swings his legs over the side of the bed and steps into his pants. Mr. DeVille pulls off my sweatshirt, revealing those cut abs. 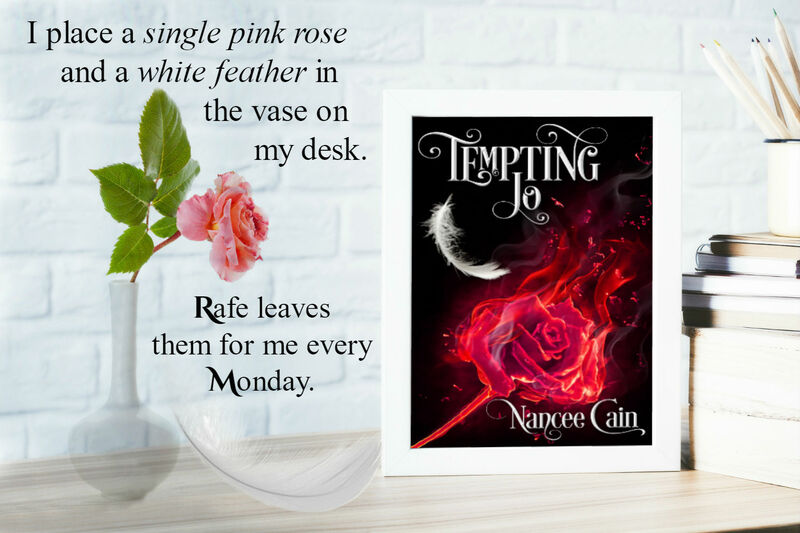 I stare unabashedly, and Rafe snaps his fingers in front of my face. Luc buttons his shirt, glaring at Rafe the entire time. “Well, Friday. Thank you for the hospitality. I’m sure since Goodman flew here on the icy roads to check on you, I’ll have no problems getting home. I suggest you take today to study for your classes, and remember I’ll be more than happy to help with your homework assignments.” His eyes flash with desire, and my cheeks heat. Rafe snarls, looking positively feral. “I only brought two cups,” Rafe protests. Shocked by his rudeness—and to our boss, no less—I quickly offer, “Mr. DeVille can have my cup.” What has gotten into him? Ignoring Rafe, Mr. DeVille turns to me as he shrugs into his coat. “That’s quite all right. Thank you, Friday.” He gives me a conspiratorial wink and a smile. Rafe, in comparison, receives a cool nod. The hair on my arms stands on end when Mr. DeVille stops and turns to face my friend. I must be having some sort of low blood sugar event because I swear it looks like the rims of his blue eyes have turned the color of a hot stove eye. I blink and find him glaring at Rafe, and the look is returned in kind. Good thing we aren’t living in a century past. If we were, I’m quite certain there would be a duel at fifty paces. He leaves without saying another word. “You’re welcome.” He ignores my sarcasm. I sigh and gratefully accept the warm to-go cup. I can’t stay mad at him for long; he’s my best friend. 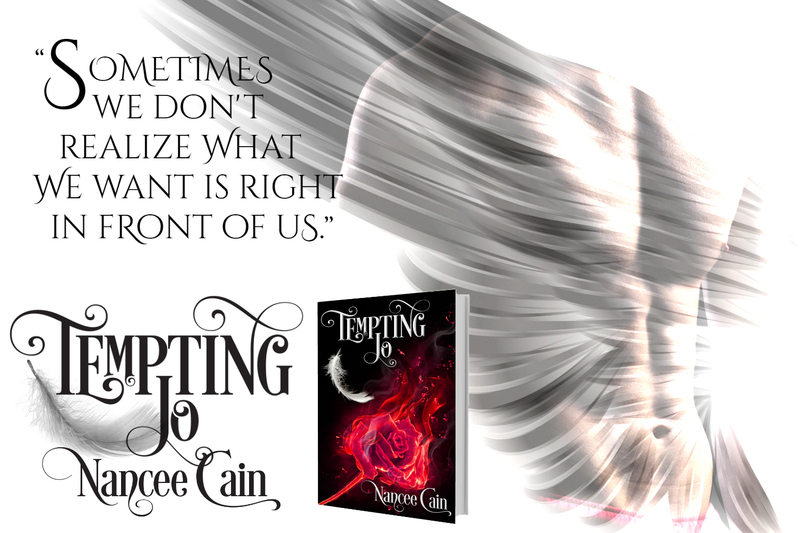 This entry was posted in Adult Romance, Best Book Boyfriends, Book Boyfriend, Book Boyfriends, Book Crushes, Book Promotion, Book Quotes, Book Recommendation, Book Release, Book Spotlight, Book Tour, Character Crush, Fantasy, Fantasy boyfriends, favorite author, Illustrated Temptations, paranormal, Paranormal Romance and tagged Funny, giveaway, Jo, Luc, Nancee Cain, paranormal romance, Preview, Rafe, Sweet, TBR, Teasers, Tempting Jo.